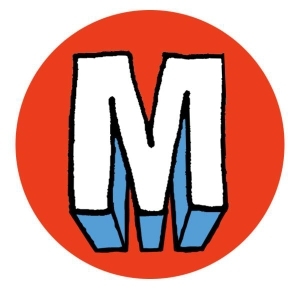 Mekanism is an award-winning, independent, full-service advertising agency made up of creative entrepreneurs. With offices in San Francisco, New York, Chicago and Seattle, we serve as collaborative business partners with some of the world’s best brands, including Ben & Jerry’s, HBO, MillerCoors, Peloton, Facebook, Charles Schwab and Alaska Airlines. Our creative approach to brand building is best described as “The Soul & Science of Storytelling”: Communicating a brand’s purpose with ideas informed by data and rooted in human truths. Mekanism has been named to Ad Age’s “Agency A List” and twice to their “Best Places to Work”. We have also been listed on Creativity’s “The Creative 50” and have been recognized by Effie as one of the “Most Effective Independent Agencies”. We have been profiled by The New York Times, Fast Company and ABC’s Nightline. Mekanism’s campaigns have been covered and studied by Harvard Business School. We take great pride in making unconventional campaigns for brands in conventional categories. Our patented blend of storytelling for emerging media takes a small army of Mekanistas to pull off. What is a Mekanista you ask? We are smart, strange, wonderful folks that brave our contentious and often spirited brainstorming sessions to make advertising magic. We get it, our parents wanted us to become doctors too. But do you know how many medical schools are equipped with foosball tables? Zero, we looked. And while a PhD is great, getting a Master’s Degree is just as good (if not better), especially if it’s from the Mek Masters Program*. Here, you’ll learn all about storytelling in emerging media. You’ll work on real projects for real clients. Big ones. You’ll also learn how to be fearless and pitch big ideas, how to collaborate and how to put all those .gifs you’ve collected over the years to good use in all agency emails, all in a friendly, innovative environment. AND, you’ll be paid, so there’s no need to take out a loan. Yeah, pretty sure you don’t get all of that in medical school. Or maybe you do. We don’t know, we never went. *Not a real Master’s Program, but definitely a real internship at a real advertising agency called Mekanism. Copywriters tell stories. They write everything from headlines to short films to perfectly timed tweets. They make you laugh, they make you cry, they make you want to buy stuff. Full-time, Monday - Friday, minimum of 40 hours/week.